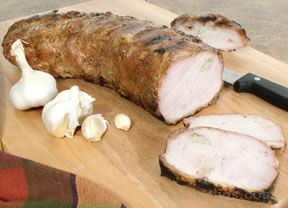 Grilled pork loin covered with mustard and fresh horseradish. Heat the grill to very hot. 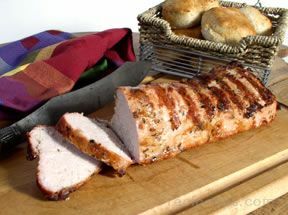 Place a full pork loin on the grill and sear it. Remove from grill and slather with stone ground mustard. Cover with fresh grated horseradish root (it will look like a white log). Place back on grill, turning frequently, until browned. Remove and let sit for 5-10 minutes. 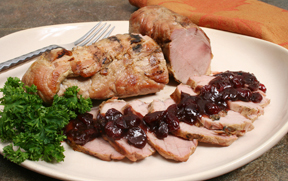 Slice diagonally and serve with almost any side dish.